Trivia Friday II | Oh Hungary! Based on this image which has grapefruits, oranges and strawberries, all great sources of vitamin C, who is credited with the discovery of vitamin C and its components and reactions of the citric acid cycle? 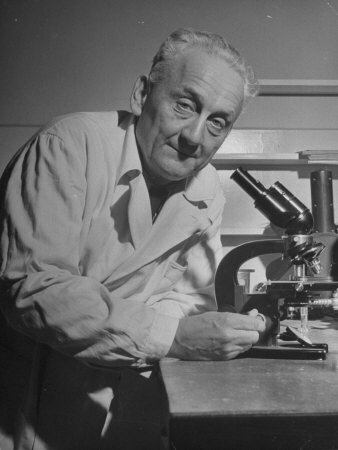 Albert von Szent-Györgyi de Nagyrápolt was a Hungarian physiologist who won the Nobel Prize in Physiology or Medicine in 1937. He is credited with discovering vitamin C and the components and reactions of the citric acid cycle. He was also active in the Hungarian Resistance during World War II and entered Hungarian politics after the war. While he was at the University of Szeged, he noted the anti-scorbutic activity of ascorbic acid and discovered that paprika (capsicum annuum) was a rich source of vitamin C.
So if it weren’t for the Hungarian love of paprika vitamin C might be a very different thing. Today would have been his birthday.